Recently on one of our staging servers had a memory consumption issue and even 32 GB of RAM was looking insufficient and application performance was being impaired. Initially I thought the cause would be poorly designed queries, but after a thorough investigation this turned out not to be the case. I noticed that whenever the Re-indexing and Update Statistics jobs executed against the database the memory consumption increased considerably. 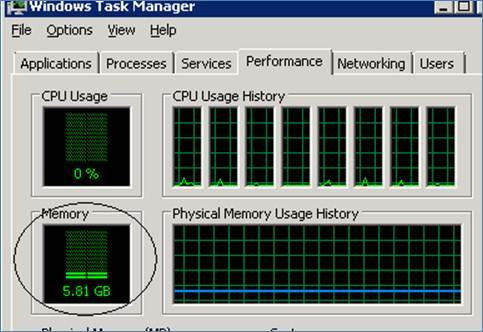 The size of the database was 155 GB, the server had 32 GB of RAM as well as 8 CPU’s on it. While performing the investigation of the system, I decided to test the performance of the Re-indexing and Update Statistics tasks separately. -- Ensure a USE  statement has been executed first. As seen from the above T-SQL, only those indexes whose fragmentation level is less than 30% will be re-organized whereas the one whose fragmentation level is greater than 30% will be rebuilt. The script has also eliminated the use of sp_msforeachtable undocumented stored procedure as well as the DBCC DBREINDEX command. Once this logic was implemented, the Re-indexing task completed in just 18 minutes and the memory consumption on the server was mere 5.29 GB. The majority of the tables in the database had columns of NTEXT and Image Data Types. Note from the above T-SQL that the Update STATISTICS with FULLSCAN is going to be performed for each and every table in the database even for those tables where there are columns having data type such as NTEXT, IMAGE,VARBINARY which is very inefficient and can kill the performance of your server. My suggestion to the database developers would be to avoid NTEXT data type as much as they can in their development work.